It’s every homeowner’s nightmare: A pipe bursts somewhere, flooding the home and costing thousands of dollars that might or might not be covered by homeowner’s insurance. To help you avoid a dangerous and costly piping catastrophe, we’ll explain these in more detail and what you should do if you see the signs. If your home has steel pipes and you notice that your water pressure has slowed over the years, your pipes are likely clogged by lime deposits and should be replaced. You see, some older homes in Brevard were built with steel plumbing. And with Florida’s hard water, those steel pipes are prone to getting lime deposits that can thicken over time. Eventually, the scale and lime deposits make the passageway for water smaller and smaller, slowing the flow of water in the system. If you run cold and hot water and see rusty, dark red/orange water, your pipes are likely corroding from the inside. You see, steel pipes will start rusting from the inside out after a certain age (around 40-50 years) and can produce rust on the inside that sloughs off as water passes through the pipes. And once that happens, the rusting will slowly deteriorate the pipe until it cracks or bursts. But keep in mind that if you see rust-colored water only when you run the hot water, the problem likely lies in your hot water heater. Have Doug Herrell Plumbing inspect and replace your water heater’s anode rod if this is the case (otherwise your water heater could eventually burst!). Regardless of the type of pipe material your home has, if you frequently get leaks in your home’s piping, your plumbing is probably rusting through and needs to be replaced. Anything over 2 major leaks per 6 months is probably “too many” leaks. Every type of pipe material is only designed to live for a certain amount of time. If your home’s piping has reached its expiration date, you’re living on borrowed time and need to have your pipes replaced before they burst. So, how do you know if your pipes have reached their age limit? Well, first you need to determine what kind of piping you have. Not sure what kind of plumbing you have? Call Doug Herrell Plumbing and read on. We’ll help you determine the type of pipes you have and how long they should last. How to identify it: Pipes are gold/orange-reddish in color and will turn slightly green when corroding. Also look for any markings on the pipe. Anything with a number starting with C is copper piping. How to identify it: If the pipe appears silver-gray in color when you scratch it with a penny, you most likely have steel pipes. Steel pipes are also magnetized and many homes built before 1960 were built with steel piping. How to identify it: Brass piping can easily be confused with copper piping because they have similar coloring. But brass pipes also have threaded pipe fittings and show a light, soft gold color when scratched as opposed to the darker, orange tint of copper piping. Note: Brass piping is very rare in Arizona, so if you have piping that is reddish/orangeish in color, it’s most likely copper piping. How to identify it: CPVC pipes are made of a thermoplastic material that is cream-colored or light tan. They’re usually marked “CPVC” on the side. If you have polybutylene piping, you need to have it replaced right away as they can be dangerous to your health and home. Polybutylene plastic was used for piping in the 1970s. But by the 1980s so many leaks were reported with this material that it’s no longer accepted by U.S. building codes. So if you have light gray, blue gray or white plastic piping and see the letters “PB” printed along the side, you need to have your pipes replaced immediately. If you see visible signs of corrosion on exposed piping in your home, your pipes are likely going to deteriorate soon. If you have a slab leak and your home has copper piping, your best option is usually to replace your home’s plumbing completely. Simply replacing one line will just add pressure to the rest of the copper pipes in your home. You see, copper pipes are extremely vulnerable to leaks underneath the slab of a home. Slab leaks in copper piping can be caused due to corrosive soil, faulty installation, repetitive expanding and contracting in hot water lines or normal wear and tear over time. Not sure if you have a slab leak? 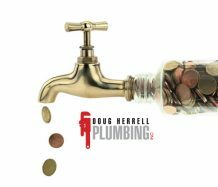 Call Doug Herrell Plumbing! If your home’s water pressure is over 80 psi and has been set that high for years, you’ve likely drastically reduced your homes piping lifespan and will need to replace it soon. You see, the average home’s water pressure should be set anywhere from 40 to 80 psi. Anything over 80 psi can damage your piping and the fixtures attached to it.  Now, usually, your home has a pressure reducing valve that keeps the water pressure at a safe level. But sometimes, if the valve goes bad or was improperly adjusted, your water pressure will increase. There’s also the chance that the valve was installed and set incorrectly, meaning your home’s water pressure has always been too high. See some of these signs? Contact Doug Herrell Plumbing at 321-254-0004. If you’re unsure whether you’re in need of whole-home repiping, we can help. Doug Herrell Plumbing has been Brevard County’s source for plumbing services since 1980. We are a family owned and operated business and take tremendous pride in providing honest and reliable plumbing services at an affordable price. Serving Melbourne, Palm Bay, Viera, Suntree, Titusville, Merritt Island, Melbourne Beach, Indialantic, Indian Harbour Beach, Cape Canaveral, Satellite Beach, Rockledge, West Melbourne, Cocoa, and Cocoa Beach.